Your client billing invoices for wine making services can be downloaded from vintrace in the QuickBooks iif file format before uploading to Quickbooks. vintrace makes some assumptions about your Quickbooks configuration and if any of these settings differ please contact support@vintrace.com so we can alter your vintrace configuration. In most instances you will not need to change these but please refer this list to your accountant for guidance before contacting us to change. You must make sure you have your vintrace client billing items linked to the appropriate Quickbooks items and revenue accounts. 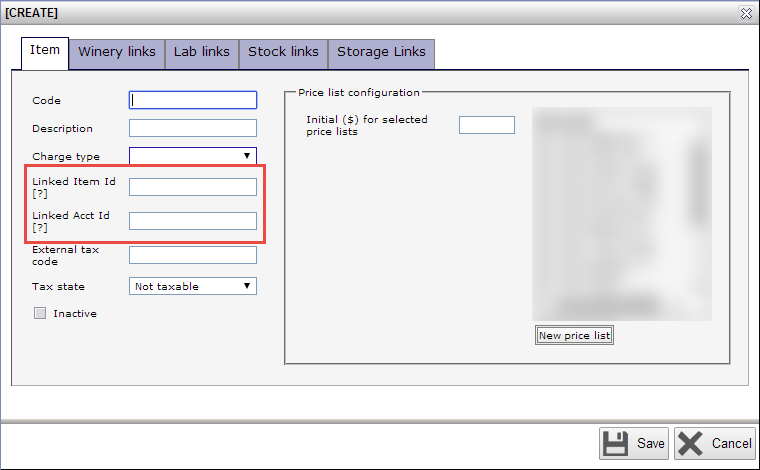 Linked Item id – this field needs to match the full item name in Quickbooks. For example if you have a Wine Shippers item in Quickbooks linked to the other Revenue accounts then the item path name will be represented by REVENUE ACCOUNTS:OTHER:Wine Shippers This format may vary for your Quickbooks setup so we suggest working with your accountant to decide on the most appropriate item links but you can see these by accessing the full item list in Quickbooks. Linked Acct id – this field requires the Quickbooks account number that the billed revenue should be attributed to when imported into Quickbook. As an example this will look something like 5003.15 but will vary depending on your Quickbooks setup. We recommend working with your accountant to ensure these are correctly linked. The Service order in vintrace has a Party linked to it and this will attempt to be matched to a Customer in Quickbooks. It is recommended you consolidate your customer names in Quickbooks against your Address book entries in vintrace to avoid double ups. Once these are linked you can generate your client billing invoices in vintrace following these steps before changing the format to Quickbooks and using the Download button. 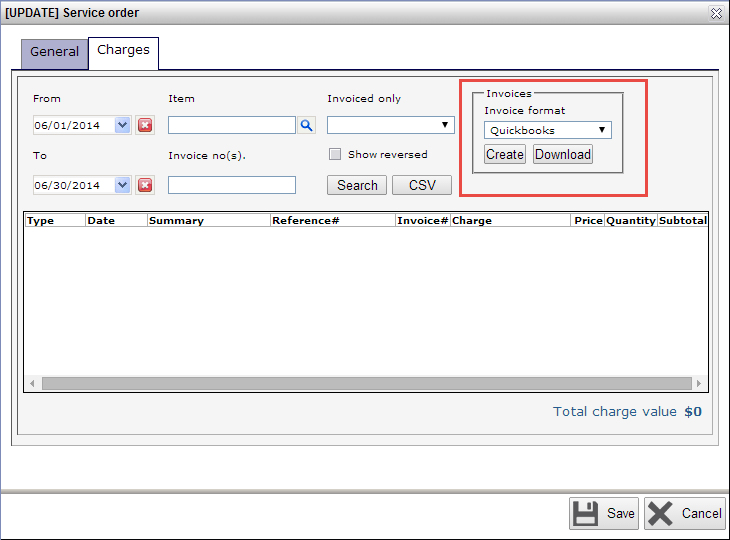 Please remember you need to create invoices in vintrace first, which groups together all outstanding charges (those charges not yet allocated to an invoice) for the selected period (tip use the From and To dates and other filters to find all the outstanding charges before using the Create and Download options). Upon import into Quickbooks a job will be created against the Quickbooks customer with the using the vintrace Service Order’s name as a reference against the Quickbooks customer.